“Because muscle has a big effect on metabolism, you can improve your metabolism by increasing your lean muscle mass and keeping your body fat down. Eating plenty of protein (in conjunction with exercise) will help maintain and build your muscle strength. This is especially important if you’re cutting calories, because your body may start breaking down your muscle tissue for energy – eating more protein can help protect against this,” explains Nutritionist and Fitness Instructor, Cassandra Barns. “My clients have had great results with apple cider vinegar. Add a couple of tablespoons to a glass of warm water and drink it on an empty stomach about 30 minutes before your dinner. 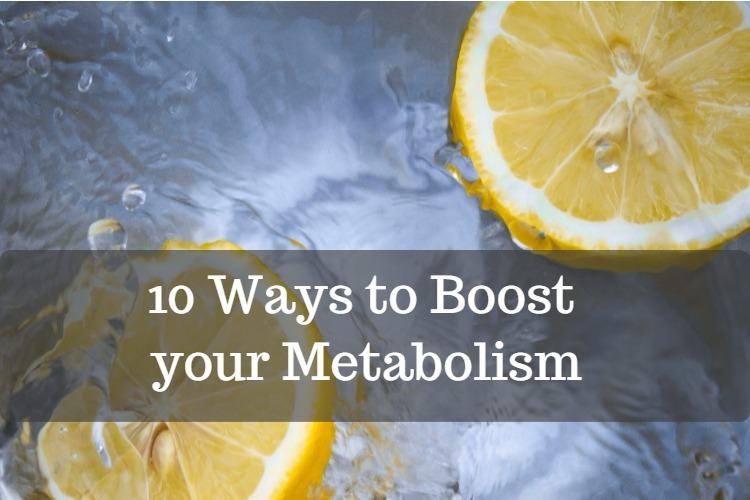 This will not only boost your metabolism but it will help to curb your appetite. It’s also a great addition to salad dressings, too!” suggests Nutritionist and Weight Loss Coach, Pippa Campbell (www.pippacampbellhealth.com/metabolic-balance/). “Essential fatty acids, which are found in oily fish such as Salmon, help to boost your metabolism. The essential fats are important for your health in general, but they also slow down the rate at which the stomach empties, making carbohydrates even more slow-releasing. They can make you feel fuller for longer and also control hunger,” explains Dr Marilyn Glenville, the UK’s leading Nutritionist ), author of The Natural Health Bible for Women . “Have you tried HIIT before? High Intensity Interval Training is a time efficient method of exercise that can boost your metabolism. HIIT causes you to consume more oxygen and make your cells powerhouses; the mitochondria work harder to burn energy, preserving muscle tone in the process,” explains Pippa. “Almonds are high in essential nutrients, especially minerals and vitamins. They are also full of nourishing healthy fats as well as being high in protein. Fat and protein make you feel fuller for longer, which should encourage you to snack less. They also help to balance your blood sugar levels and improve insulin sensitivity, which is an essential part of healthy weight loss and management,” explains Glenville. Find what food groups work for your body by delving deeper into your DNA. Pippa runs a three-month Metabolic Balance programme that is 100% personalised and actively supports a person’s own biochemistry and nutritional needs To begin a blood sample is taken from the client, which is then analysed by medical experts, so that a customised and unique plan can be prepared. “Digestion – including transit time through the gut – can be affected by the bacteria that live there. So, a good-quality probiotic supplement could help move things along and improve digestive comfort,” explains Cassandra. Taking a probiotic supplement can help re-balance the good bacteria in your gut, support digestion and reduce symptoms of intolerance. such as GI Natural by Natures Plus , to help improve your digestive health. “Yes, you read this correctly! 24-hour fasting actually sends your body into a sort of ‘shock’ mode to burn more fat, as it is searching for other sources of energy. Don’t overdo it – but fasting once a month can really kick-start your metabolism,” suggests Pippa. “A magnesium supplement may be beneficial for long-term support for your metabolism, especially if you lead a stressful lifestyle or have trouble sleeping. Magnesium is vital for energy metabolism and may be especially supportive for relaxation and sleep, too. Many of us don’t get enough of it in our diets. I’d suggest taking Natures Plus KalmAssure Magnesium Powder in the evening or before bed .